Single serve candy is on sale for $0.67 at Rite Aid. Purchase at least one M+M’s Crispy Chocolates and one more M&M’s brand single serve chocolate candy. 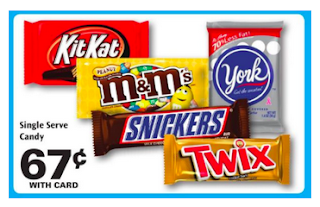 Print and use a BOGO coupon, making the final price $0.34 each! Print two and pick up four! 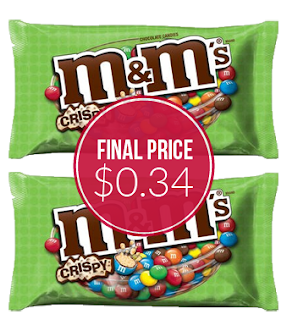 Total 67¢ or 34¢ each after coupon!